Breeze surprised me yesterday with this gift delivered at home - a big #SigeSabado playbox with educational and artsy stuff! I missed the #SigeSabado event held a couple of weeks ago, so I was so delighted when this was delivered at home! Now I understand how the kids felt when they received this box! I was so excited to start with the projects. Too bad I don't have a kid yet, and my nieces and nephews are not in Manila. BUT, looks like my mom is willing to spend some good fun with me. The #SigeSabado campaign aims to encourage moms to spend their Saturdays or weekends with kids doing fun and interactive activities. Interactive means, limiting the use of gadgets and video games - and focusing more on bonding activities that encourages creativity and active play. Very nice campaign. 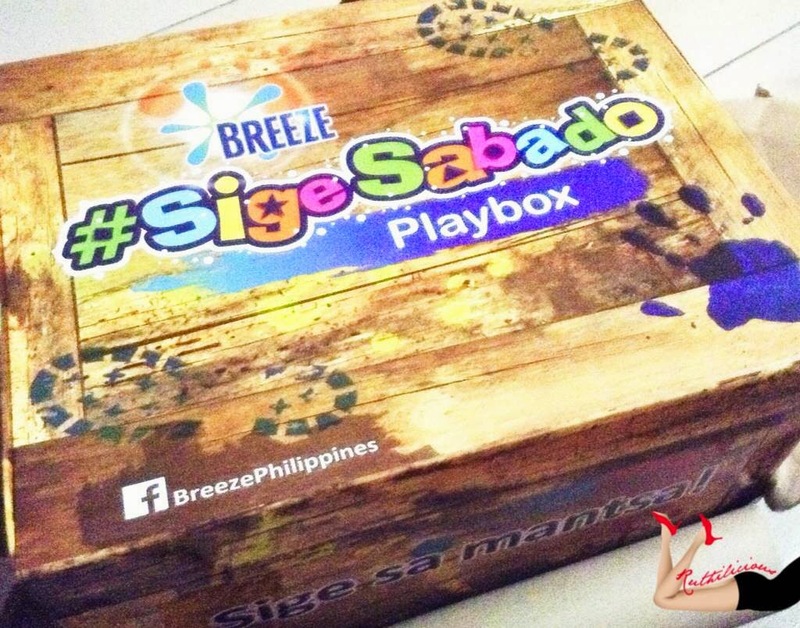 Most of my friends are curious about the #SigeSabado box - and they were asking where they can buy one. As I understand that the box is specially customized and conceptualized for this campaign, here I am, sharing with you what's inside so you can also make your own #SigeSabado playtime box and bond with your kids. 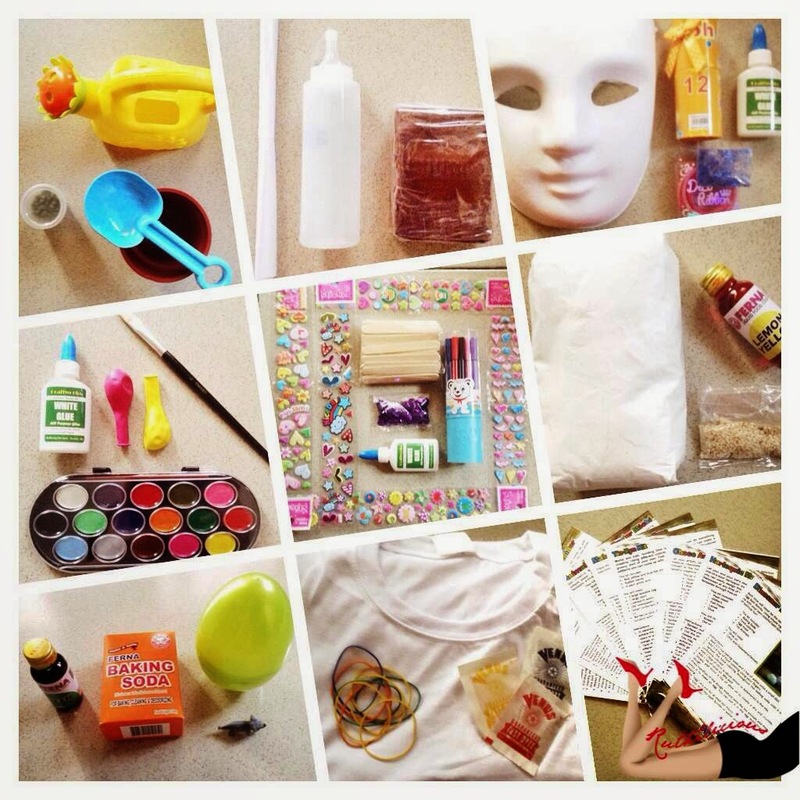 Click Read More to know more about the #SigeSabado playbox and suggested bonding activities..
1. Raise a Monggo Plant - they say that monggo is easy to take care of! 2. Make Some Choco Art - this is a unique and delicious way to let your kid's artistic spirit run! You will need wax paper, squeeze bottle and chocolate bar (melt it using double boiler). Once you and your kid have mastered it, you can probably progress to baking! 3. Design a Harlequin Mask - it's never too early to prepare for the Halloween Party. You need plain mask, glitters, felt paper, laces and glue. :) You can buy these in an artsy craft store. 5. Make a Popsicle Stick Pen Holder - another great way to recycle popsicle sticks! Probably you can use the ones from Magnum? :) I super love the stickers that are included in the box! Hehe. 7. Prepare Dinosaur Egg Bath Bombs - this is another interesting activity. Add 1/2 cup baking soda and 1 tsp water. Add 1/4 tsp of food coloring. Add tbsp of citric acid (calamansi or lemon) to the mix. Add 1 tsp of olive oil and mix well. Slowly add more 1/4 tsp of olive oil to create a dry and crumbly dough. Press handfuls of the dough mixture onto the toy animal and press it to make an egg. Let the "egg" dry out for 10 hours. Let your kids drop the bath bombs in water and have lots of fizzy, bubbly playtime fun! Now that sounds really fun! Okay, now I am excited to start (I am not even done with my scrapbook and photobooks, now I am starting new projects! LOL)! Moms need not worry about stained clothes, as there is always Breeze which easily removes stains like chocolate, juice, ink, blood, and other stains. If you are not convinced, listen to the "Sige Moms" Barbie Almalbis-Honasan, Christine Bersola-Babao, Dimples Romana, Gladys Reyes, Nikki Valdez and Carmina Villaroel- Legaspi. If you have Sige Sabado moments with your kids, you may want to share it in Facebook and get a chance to win a trip to Lego Land. Just visit the Breeze Philippines Sige Sabado App. Which activities do you think your child will enjoy the most?